What Kind of Dental Implant Do You Need? Dental implants are important for those who have lost teeth, have unsightly teeth, or are concerned about the discomfort and potential tissue loss associated with having at least one missing tooth. If you feel that you may need dental implants, you probably have some questions. First of all, what types of dental implants do you need? Dental services in Sharpsburg, GA, can install various types of implants, and not every type is multipurpose. 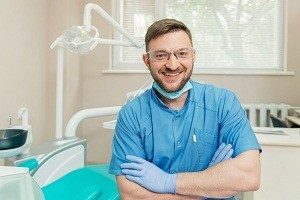 That means that you should have an idea of what type you need, or find affordable dental services for a consultation, where a dentist will inform you which type of implant they recommend. Here are some answers to your most pressing questions about implants. Think of this as a know-before-you-go informational you can take to your next family dental care appointment. Dental implants are designed to resemble real teeth. Unlike the metallic crowns of years past, today’s dental implants resemble real tooth enamel, with color matching features so they fit in with your set of natural teeth. Unlike dentures or bridges, dental implants prevent bone deterioration. They also prevent interference with eating and speaking. Dental implants are designed to last for a long time. While they have a higher initial cost than bridges or dentures, which typically last less than a decade, dental implants can last for several more years. Implants may need the occasional adjustment from time to time to prevent shifting. This is designed to prevent changes to how you eat or unwanted changes to your face shape. Dental implants may be used as a form of emergency dental care in the event that several teeth are lost in an accident or injury. You’re also able to continue performing dental care as before. You can brush and floss with dental implants, while bridges and dentures must be removed and treated with special cleansing products. A common type of dental implant is the 2-stage implant. This involves a surgical procedure of placing the implant directly into the jaw bone and stitching the gum tissue around it. It requires follow up treatment for best results. They may use threaded, bladed, or smooth inserts. Single-stage implants involve surgical insertion of a longer jaw implant, which rests atop the actual jaw bone. They have an exposed post to hold the implants in place, and may also be used to hold dentures. If you have more questions or concerns about receiving dental implants, visit local dental services in Sharpsburg, GA, to learn about the risks, alternatives, and the amazing benefits of implants, as well as which option is right for your oral health.